Now entering its eighth year, the Young Environmentalist Leadership Course (YELC) run by the Central Caribbean Marine Institute (CCMI) is currently accepting applications for the six-month intensive experience. In past years, participants have come primarily from John Gray High School, Clifton Hunter High School and the Cayman Islands Further Education Centre, with more students applying to the programme each year due to the growing interest in and the recognition of YELC within the Cayman Islands. Students must submit an application then participate in an interview process to be considered for one of the coveted spots in the YELC programme. The YELC programme provides an opportunity for 10 local students to continue their educational pathway in the marine sciences. 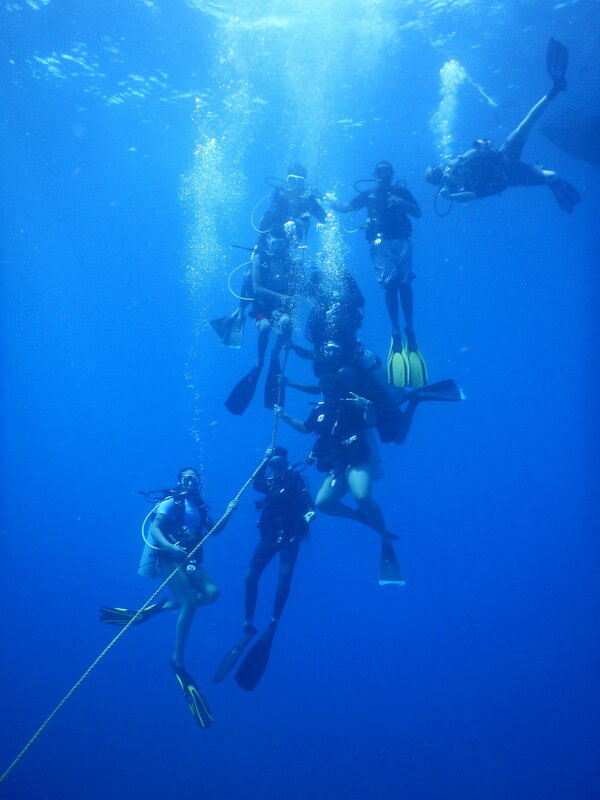 Over the course of the spring, summer and fall semesters, YELC participants complete their PADI Open Water, Advanced Open Water, and Rescue Diver certifications with Go Pro Diving Cayman, and they attend two separate week-long courses with CCMI education specialists on Grand Cayman and Little Cayman. In addition, students work on field projects and learn to use scientific instruments and equipment to broaden their skill sets and experiences, which can be used in the workplace. Sponsored by Fosters Food Fair IGA and Cayman National Bank, the YELC programme has supported 74 students on their journey to learning about the marine environment while also helping to develop important soft skills that will serve participants well in any career path they choose. The education team who leads the programme also guides the students with writing their CV and conducts mock job interviews to help students prepare for the next steps to employment. In addition to this hard work and important skill building, YELC participants get to do fun and meaningful things with CCMI such as going on night dives, helping with lionfish dissections, and assisting with CCMI’s ongoing research. The YELC participants also benefit from learning about other conservation programmes and organizations in the Cayman Islands through field trips and a week of professional networking opportunities on Grand Cayman. The application can be found on CCMI’s website with a deadline for the 2019 YELC programme of 1 April 2019. Students who are interested should contact the education department of CCMI at education@reefresearch.org.